Stunning Solid silver mirror made in Hong Kong in about 1910. Made by Kwong Man Shing. Monogramme has been removed. 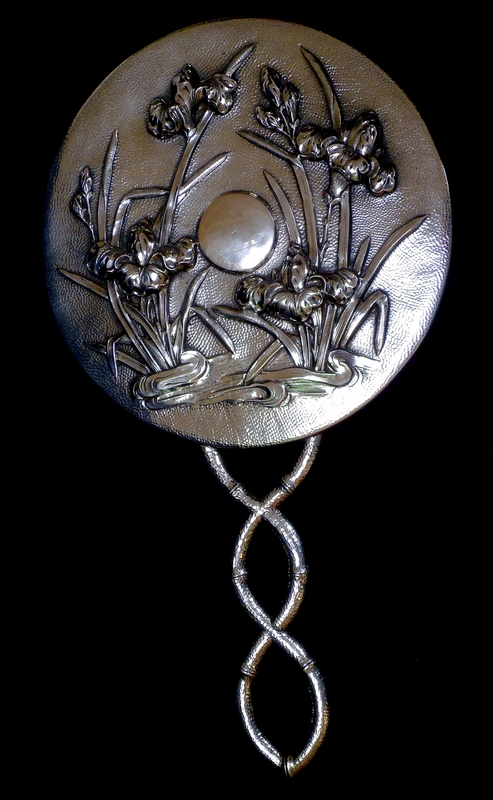 Beautifull repousse worked Irises in an Art Nouveau style that would appeal to Chinese, Japanese and European tastes - i.e worldwide appeal. Hand raised repousse work throughout.